It's back for another season chills! Thrills! And Kyary Pamyu Pamyu?? Are you as confused as I am?? I hope so, because an attraction based on a teen idol does not come to mind when I think of blowing close too 100 USD on a theme park (though, I've technically already blown my 200 USD on a season, but it was for OP and totally worth it). Anyway, this post isn't a review, so I'll cut the small talk. This is an informative bit on what's being offered, attraction-wise, and how you can get your tickets, because you will need tickets. You've been warned. This year, we have 5 attractions, 4 of them being repeats from the previous year, and 1 new attraction. The repeats are Evangelion, Attack on Titan, Monster Hunter, and Resident Evil, with the new entry being Kyary Pamyu Pamyu. I know everyone is excited about the Kyary deets, so I'll save that for last and start with short descriptions of the older attractions. Ride the Eva. Experience a fierce life or death struggle. First up is EVANGELION: THE REAL 4D 2.0. According to the description, it features an original story, shown from the perspective of the pilot (?? 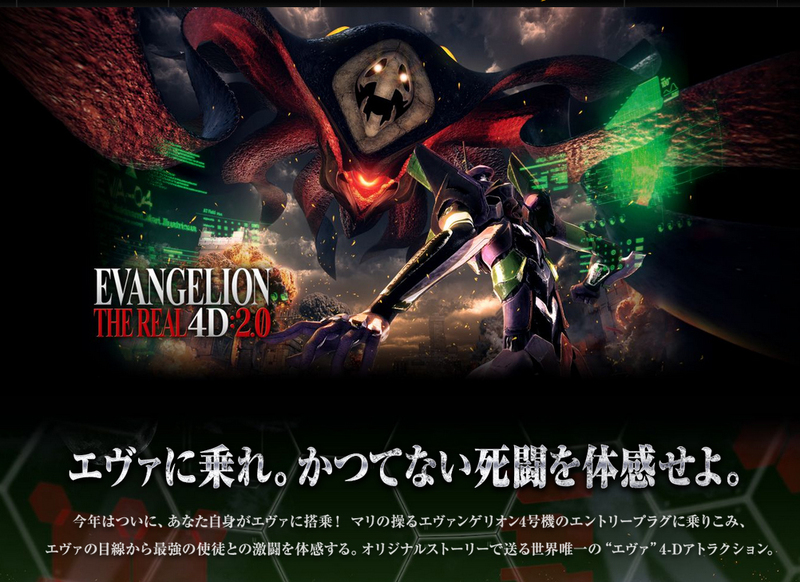 Sorry, I was never into Eva, Gundam4EVER). And since it's in "4-D", that usually means there will be some smoke, heat and water effects. This attraction will run from January 15th (Fri) until June 26th (Sun), but you can check the show schedule from online from this link. While you do not need a ticket for this attraction, when I went to the park last time, there was a 4+ hour wait for it. That's basically half of your time at the park, so I would definitely recommend a Universal Cool Japan Express Pass (which can be purchased here, more info below). 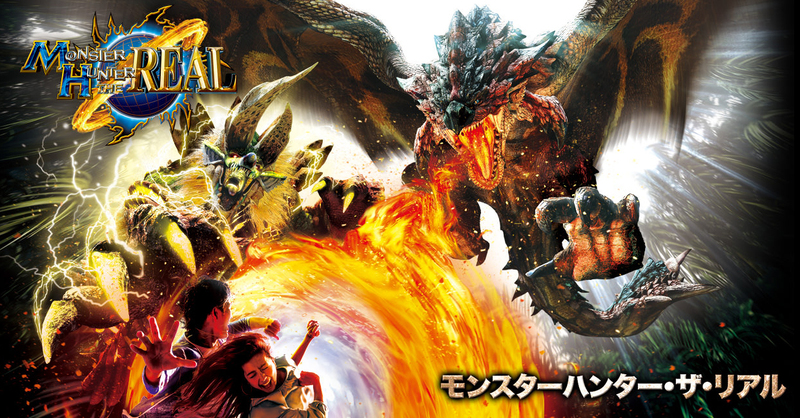 There's a commercial of the ride available on the USJ site here. Fly with Three Dimensional Maneuver Gear! And Fight! 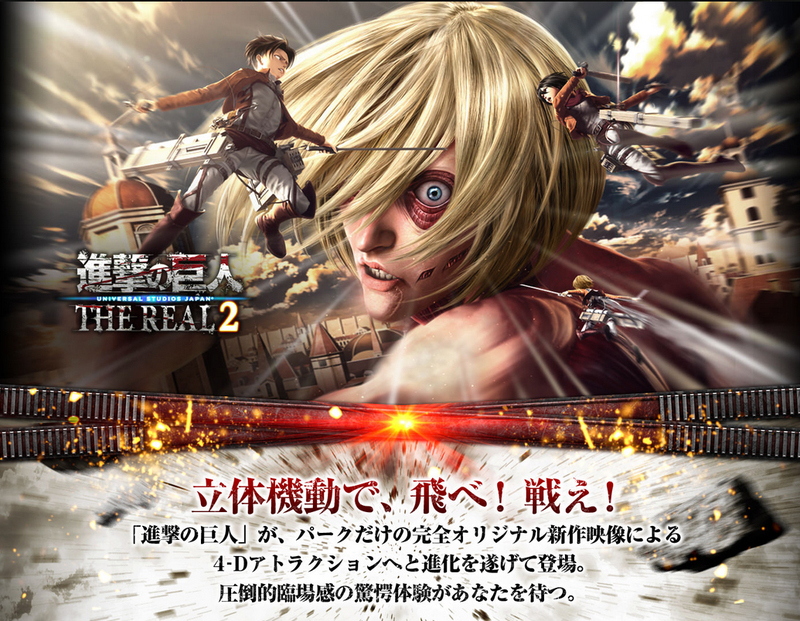 Next up is the crowd favorite, Attack on Titan THE REAL 2. In this attraction, you'll fly through the air as a member of the Survey Corps using their infamous 3D maneuver gear. There's also replica titan you can take photos near, along with lots of AoT merchandise. When I tried to see this attraction last year, I was informed that "tickets" for it had run out. Now, on the site, in small asterisked print, it says that during busy days, 整理券 (seiriken) or numbered tickets will be given out, but when I arrived 1.5 hours after the park opened, these tickets were all gone. For the entire day. Don't take any chances, just buy the stupid Express Ticket, especially if you're only going to be there for that one day. Yes, you will be closer to spending 150 USD on your trip, but at least you won't leave wholly disappointed. This is event will run from January 15th (Fri) until June 26th (Sun) and the show schedule can be found here under アトラクショ基本情報 (Main Attraction Info). You can also see a commercial for the attraction here. 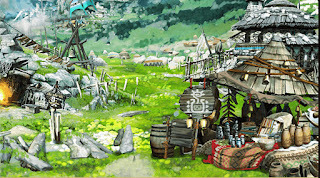 Next is Monster Hunter THE REAL. Oh precious, precious MoHan.This "attraction" seems to be more or less the same as last year, a walkthrough exhibition of items from the game with an encounter with that Dinovaldo-thingy at the end (can you tell I haven't played MoHan since Freedom 2 or so?). An addition to this year's event, however, is a change to take a photo with Dinovaldo. In the photo on the site, the woman is riding the monster, but how that actually works is unclear. I doubt that they're letting people ride on top of a model (because people break things), so I'm wondering if this is some kind of trick-art or Photoshop effect. Also, new for this year, is the recreation of Beruna Village from the most recent Mohan game, Monster Hunter X. I'm interested in how in-depth this recreation will be, as the space in USJ, especially the area around Universal Cool Japan, is not that big. From what I see on the site, the village looks like it's being built in the studio space used for the exhibition last year, so at least you don't have to be out in the cold. Maybe. You don't need express tickets to enjoy this attraction, but you do need a DS, and probably the most recent copy of MH, to participate in some areas. This is event will run from January 15th (Fri) until June 26th (Sun).You can also see a commercial for the attraction here. An escape from a giant, frightening lab. Next is another regular, Resident Evil The Escape 2. 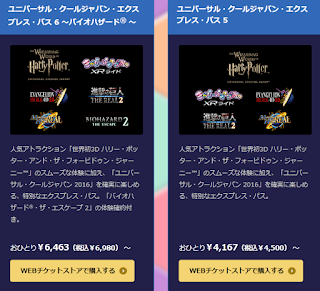 Based on the information listed on the site, the story for this event will be completely different from last year. In 2015, you had to escape from a TV station, but this year, you'll be escaping from a laboratory. 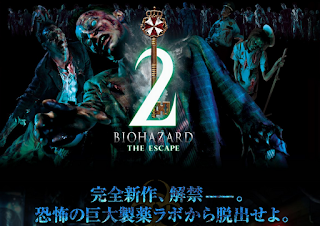 Unlike the event in the summer, which uses little light guns and commendable acting by park staff, this is attraction is based on a recent trend in entertainment, escape games. In these games, you have to solve or unlock a series of puzzles, to escape to the next puzzle and eventually escape from the house/lab/TV station. 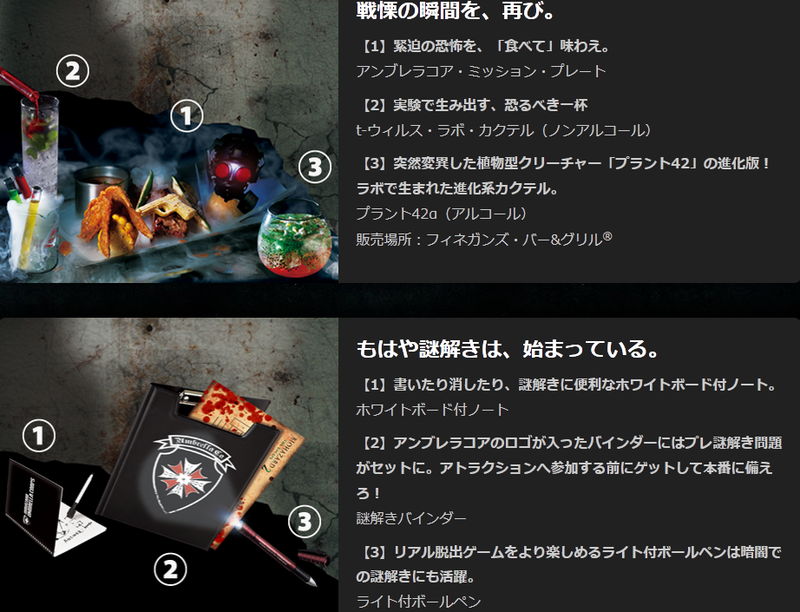 It's a survival game of sorts, and I'm more than certain it's written information is only available in Japanese. Why, you ask? Well, the site information, considerably shorter than the entire attraction, is only in Japanese so, it's not a good sign of things to come. 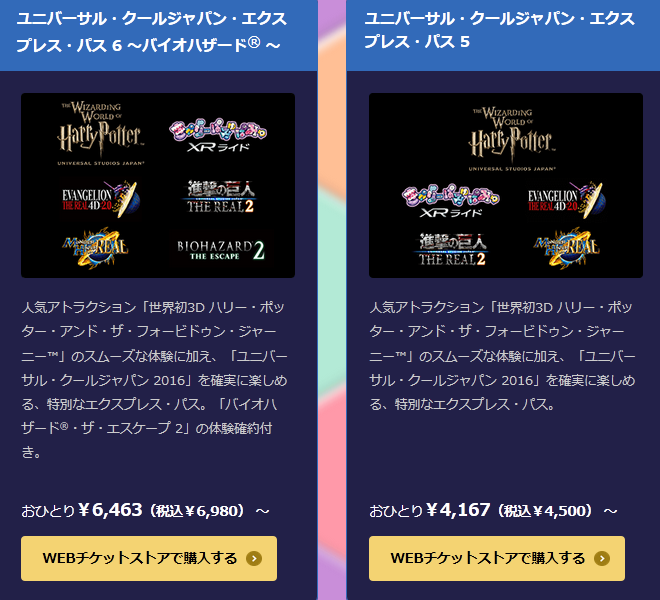 An important bit to notice about this attraction (just like last winter) is that it incurs an extra fee of 3,480 yen (2,980 if you by your ticket ahead of time). It also takes 30 to 45 minutes to get through, so make sure you plan your time wisely if you're wanting to check out other attractions or shows. If you're not willing to foot the bill for the attraction, you can still check out the shop and get your hands on some interesting RE goods. 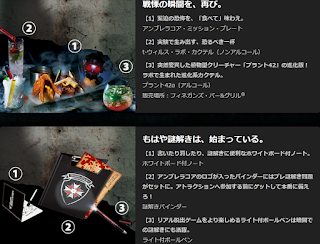 It's... not at the same caliber as AoT goods, but... at least they're selling something? This event is running shorter than the others from January 15th until May 29th. You can check out the CM here. 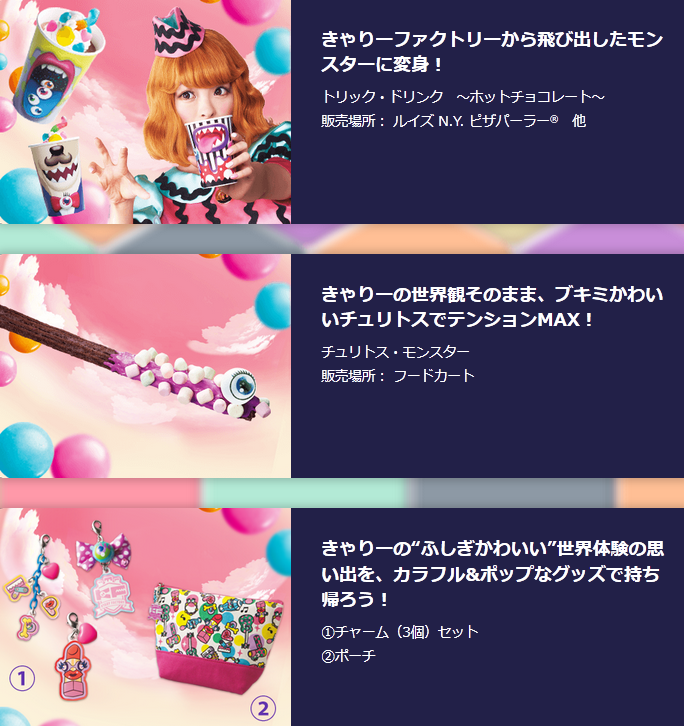 And last but not least, Kyary Pamyu Pamyu XR Ride. I don't know what the XR stands for. I think it's supposed to be some kinda of play off of VR, because the occulus is being used as part of the attraction. Maybe.. Xtreme Reality? Just reminds of White Castle. EXTREEEEEME. I have to admit, I'm writing this from a slight bias, I'm not terribly interested in Kyary (when it comes to Pico-pop, I prefer Aira Mitsuki), and the video they showed on the news for opening day left me less than impressed. I wouldn't wait more than 45 minutes for this ride, but as Kyary is still a fairly popular talent/model/performer (?? ), don't be surprised if you end up waiting hours for this. This attraction is using the Space Fantasy The Ride, so during the Universal Cool Japan event, you will not be able to ride Space Fantasy (which is actually a pretty fun ride, so I'm kind of sad). 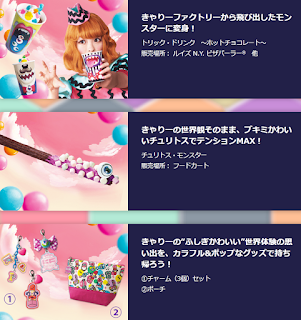 Just like the other attractions, goods will be for sale, definitely an attraction to visit for any Kyary or Harajuku-kei fans. 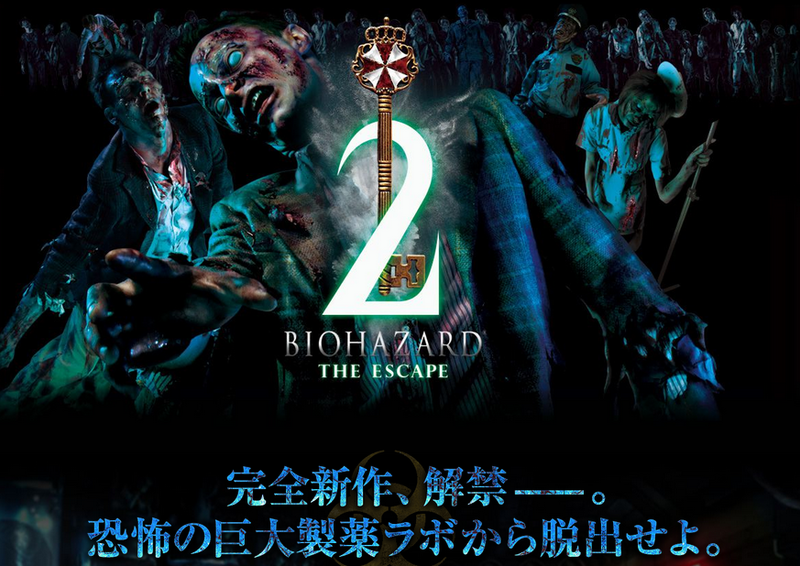 This attraction will run from January 15th (Fri) until June 26th (Sun). Advance tickets are not necessary to ride, but express tickets are available. You can check out the CM here. The Universal Cool Japan/Express Passes are separate from park entry tickets. These passes allow you to skip most of the wait for attractions listed on the pass. All of the attractions in the park are not included in the pass, and passes can only be used once per ride. Also, please note the Universal Cool Japan and the Express Passes contain different rides. Don't buy one just because the other is sold out as it may not include the rides you want. 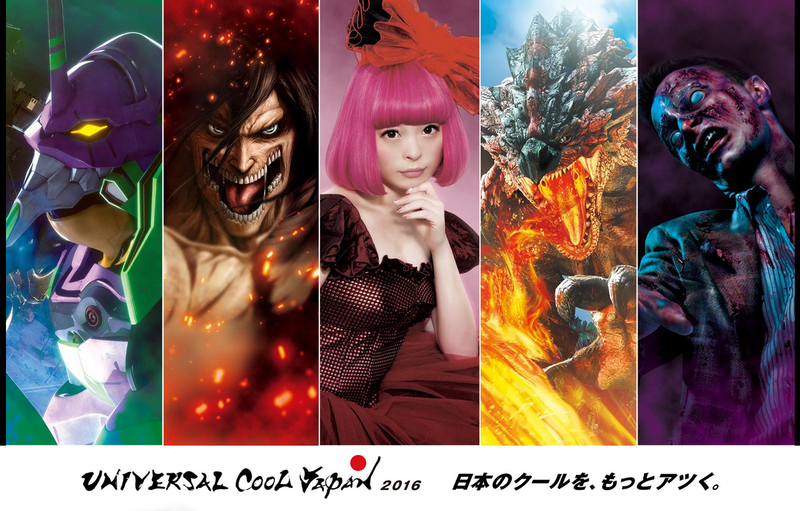 For more in-depth information of the pass system, please check out my post from last year on Universal Cool Japan 2015. This post will have information on how to read the schedules and availability, as well as information on how and where to buy your passes. One new stipulation to this year's event is that you cannot use passes that have been resold. 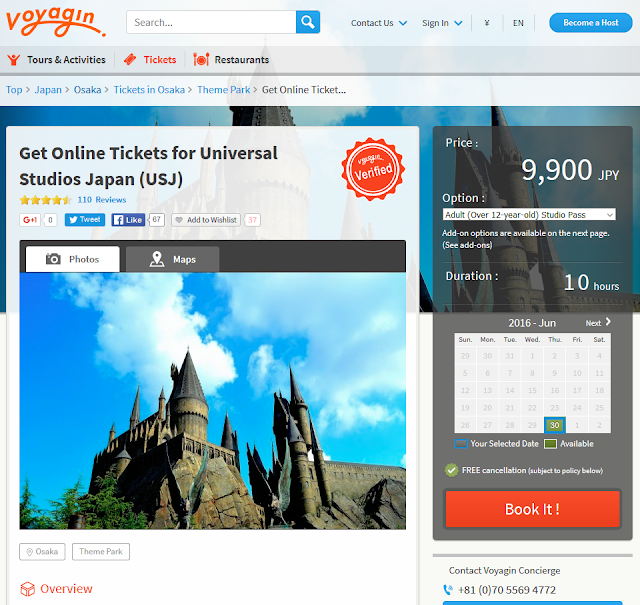 This means that you cannot buy passes from an online auction, ticket shop, or anything other shop except for USJ's official web store. Any re-sale tickets will not be accepted at the park. You have been warned. If you're looking for an English-language service for getting your USJ tickets, check out Voyagin! They'll help you get your park tickets, they have extra options express passes, and they can get you train tickets for your trip to the park. If you need them to, they can even print and send your tickets to your hotel, but make sure to read the instructions on how.